Yay, It’s 10.1.2013. I think this is my favorite month.Partly due to where I live, out in the Desert where when October hits we finally get a break in the weather and because I love fall and all it brings with it. 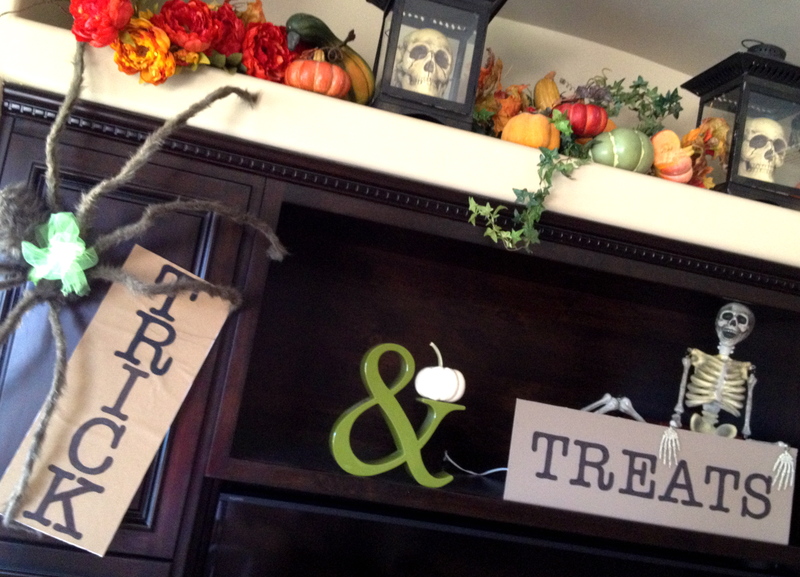 Holidays, football, fall food and the decorating with pumpkins. So by the way, do you know where your decorations are? If you’re a early bird they are up and your family is already enjoying them, if not you have time if you act now! Select a pumpkin that is completely orange. Partially green pumpkins might not ripen any further. Size is an important factor. Medium pumpkins are best for pumpkin carving. Small pumpkins are better for cooking. Does the shade of orange matter? If so, there are hundreds of varieties, with many different shades of orange. Selecting the shape is a matter of personal preference. Some like ’em tall. Others, like ’em round. Often, people select shapes to fit the carving patterns they will use. Pick your pattern before you go. Do not lift or carry a pumpkin by its stem. The stem will likely break. The stem gives it character. A ripe pumpkin has a hard shell that does not dent or scratch easily, when pressing on it with a thumbnail. Do this on the back or bottom of the fruit…….never on the face. 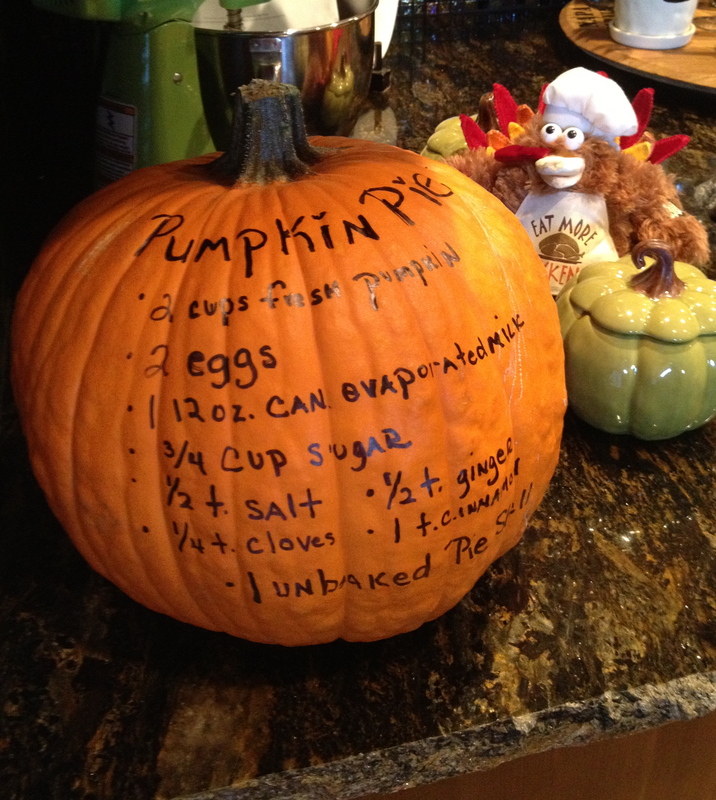 Examine the entire pumpkin carefully for soft spots. If you find even one soft spot, go on to the next pumpkin. Check for cracks and splits. If you find one, examine it to be sure it is not turning into a soft spot or has mold inside of the crack. Look for bugs and insects. 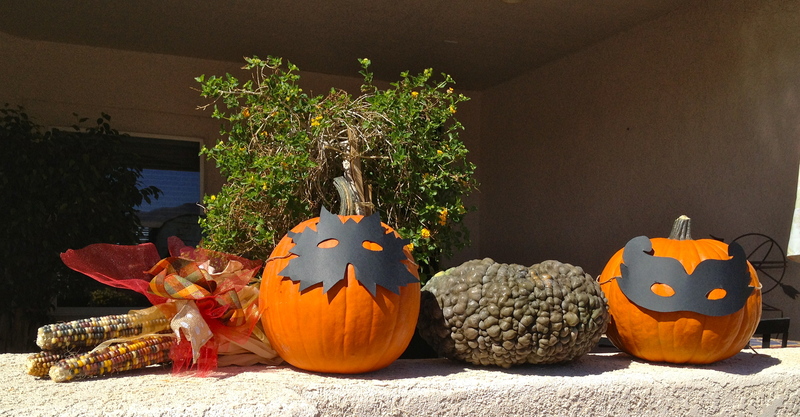 Specifically, look for holes in the pumpkin, which are indicative of insect problems. Bring a small wagon with you. It’s easier to haul tired kids and pumpkins. Wear boots or old sneakers. It could be wet and muddy in the pumpkin patch. Pick a pumpkin that you can carry back with you. If smaller children are carrying pumpkin, pick smaller pumpkins. Remember those little arms will probably get tired before reaching the car. Bring a sharp knife or pruner. Cut the vine on either side of the stem. After you get it home, you can trim off the remaining pieces of vine, and cut the stem at the perfect spot. I have already purchased 8 pumpkins and that is only the beginning for me due to so many varieties being brought into our stores. This site has some cute ideas and FREE printables, check it out.